Euro is still being corrected; the market is forming the third wave of this correction with the target at the level of 1.2950. The maximum if this correction is at 1.2990. 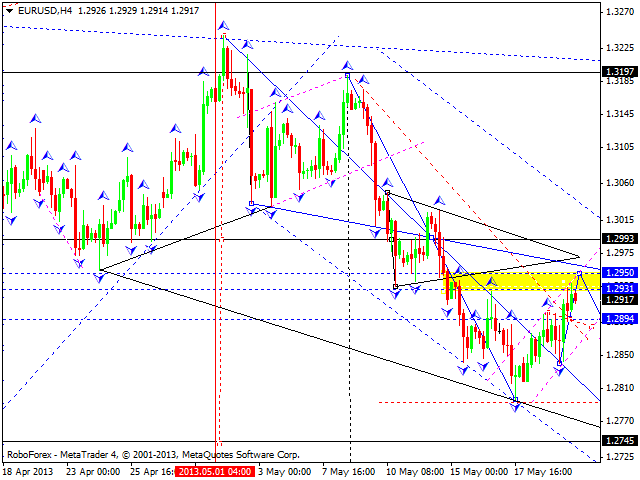 The main scenario is still the same: the price may continue moving downwards towards the target at 1.2745. Pound completed a descending movement inside the current correctional wave; the market finished the first ascending impulse and right now is correcting it. 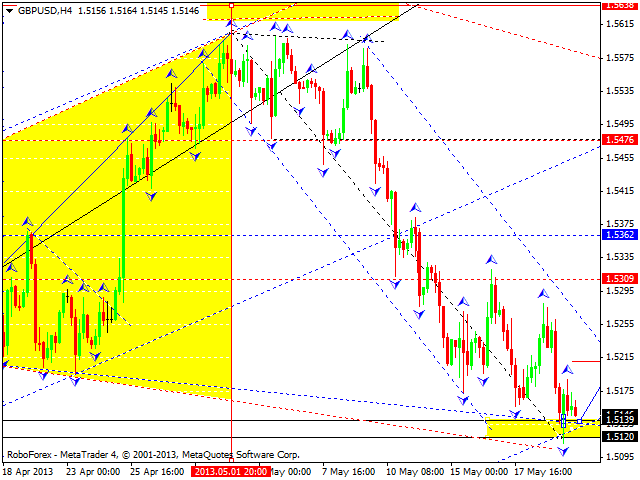 The target of the correction is at 1.5140. We think, today the price may grow up to reach the first target at 1.5300. After the pair breaks a descending channel, the market may define the area where one can try to buy it. Franc continues consolidating near the level of 0.9700; the market is forming ascending triangle pattern. If the price breaks the pattern upwards and leaves it, the pair will immediately reach the main target of this wave at 0.9800. If the price breaks it downwards, the pair will form a descending correction towards the level of 0.9600. A more preferable scenario is the first one, which implies that the price may continue growing up. The USD/JPY currency pair is still moving near its maximums. It looks like the market isn’t going to move upwards right now. In our opinion, the price may form a reversal pattern to start a new descending correction. 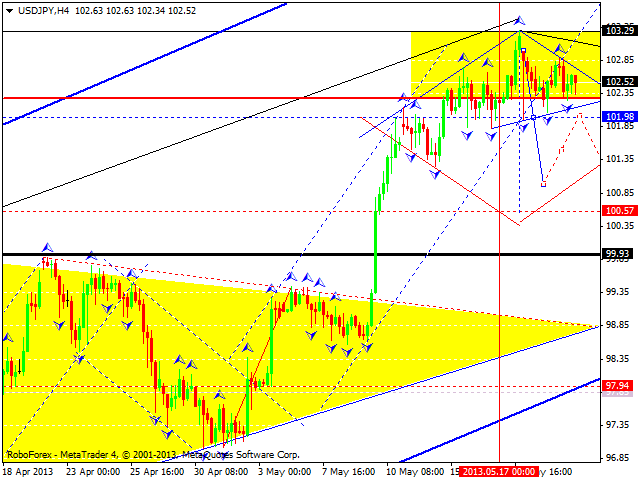 The target is at the level of 88.20. 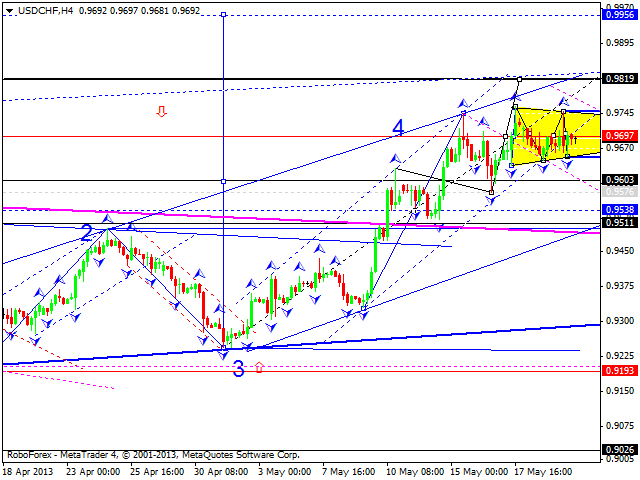 Australian Dollar continues moving inside the third ascending wave. 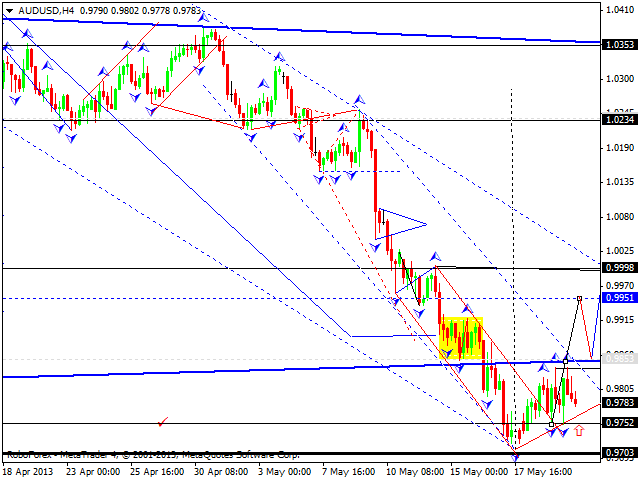 We think, today the price may break the level of 0.9850 and continue growing up towards the target at 0.9950. The main target of the first ascending wave is at the level of 1.0000. 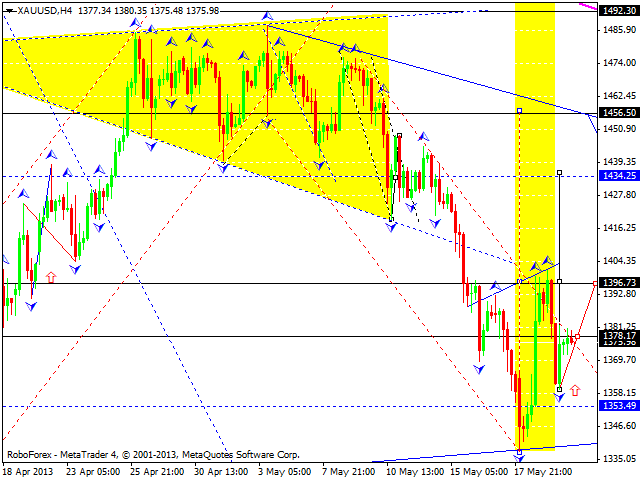 Gold corrected the first ascending impulse. We think, today the price may form the second one towards the level of 1396, consolidate for a while, and then continue growing up towards a local target at the level of 1434.